Here's some news of a nice ringing recovery on the patch of a snow bunting. 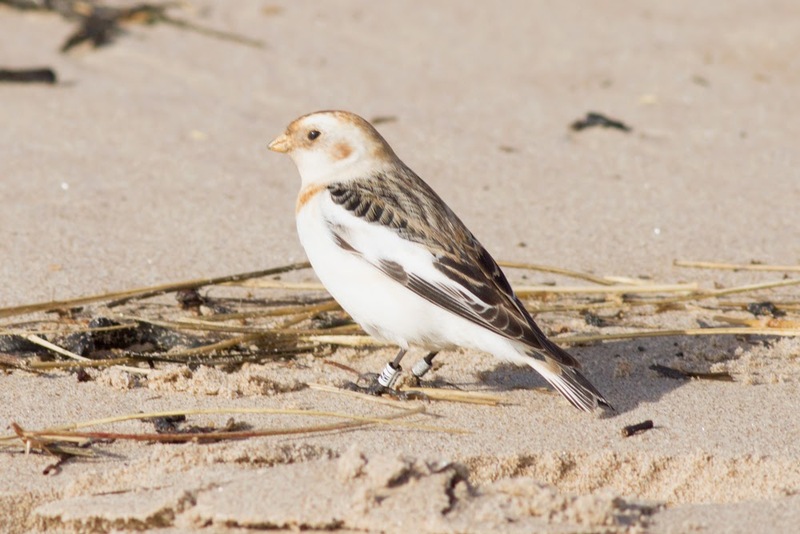 Thanks to Alan Gilbertson for the story and the photos as I've not even seen snow buntings this year, let alone this ringed individual. 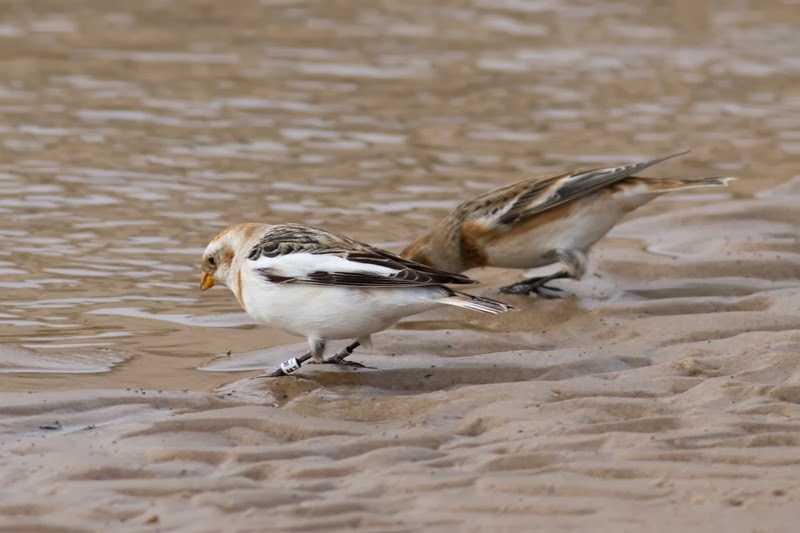 Alan reported a colour ringed snow bunting to me on Monday, the bird in question has a white darvik with a black 'M7'. A quick look at Dirk's colour ringing site found details of the ringer, who was in France. The bird was one of 117 colour-ringed this year. It was ringed at Calais by Quentin Dupriez on 15th December 2013 and it's the furthest recovery to date. This really shows the value of colour ringing schemes, so make sure you look at the legs of snow buntings you see in the next dew weeks! The bird is still in the Bay today, but at Chibburn Mouth.